Tales about cycling and how to do it are in no short supply. Some of what you hear out there may be true, but most of it is untrue. 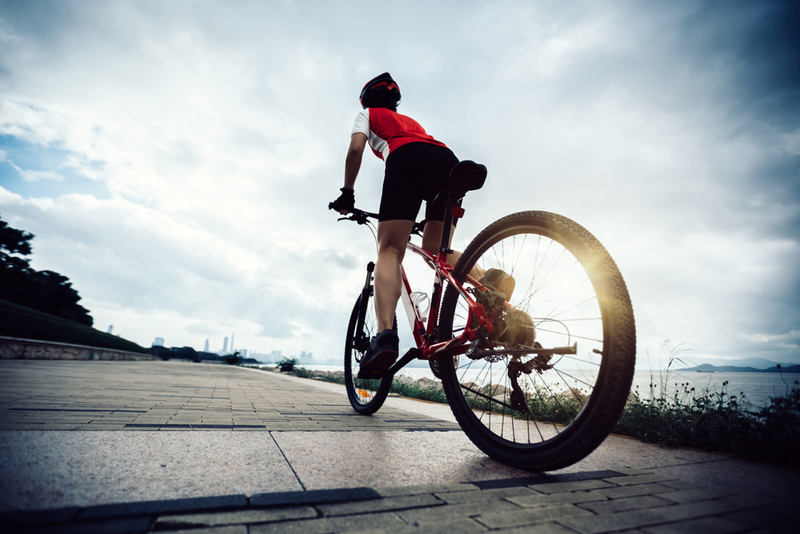 Cycling myths mislead and may result in injury to cyclists or their bikes! Here are the common cycling myths that you should totally ignore. Buying a bicycle to start your cycling journey is not an expensive affair. There are many great bikes available to riders, and they do not cost an arm and a leg. Additionally, being on a bicycle is safe. It has nearly the same risk of causing injury or death as walking. Many people will want you to believe that you are not safe on a bike but ignore them. In the old days, pumping the tyre hard was the in thing. It gave a better ride experience and reduced rolling resistance. Today, technology has improved many things in cycling including tyres. You do not have to pump up the tyre to rock hardness. A slightly lower tyre pressure helps your tyre soak up some of the road’s imperfections for you. Bicycle saddles have come a long way in the levels of comfort they give. A combination of a good saddle and padded riding shorts solves most problems around seating comfort. Getting these two items right may take time as you work on the bike and kit, but you will eventually get it right. Remember, riding posture influences saddle comfort. Fashion in the cycling world is heavily centered on lycra. Cyclists should not be afraid of their looks. With a little more attention when shopping for your cycling gear and clothes, you can get great lycra outfits. So, should you then shave your legs? When out cycling, your looks will not matter much, so do not shave your legs if you are not comfortable with it. Yeah, you might hear what is supposed to be advice to you to load on carbs the night before a long or demanding ride. Carbs are great for energy during a ride, but loading on them may have you feeling not so great the following day. A balanced meal will work great on the night before a big ride. You can always refuel using energy bars and gels during the ride. Every cyclist wants to go faster and have more leg strength. Big gears are touted to give you better leg strength. Long cranks are said to help you exert more force while pedalling. Be careful with big gears. They cause you injury in the knees due to the application of too much torque. Long cranks will also increase your leg travel distance, so avoid them unless you have particularly long legs. Your riding posture is very important for your health. At the same time, slamming the stem has its advantages. It looks stylish too. Slamming the stem puts you in an extreme posture and transfers pressure to body parts where you would prefer less pressure. When you cycle to work, use a regular cadence and ride at moderate speeds. Clothing that absorbs sweat away from your body is great for cycling to work. You do not have to worry about being sweaty if you invest in the right gear. With moderate cycling speed, you will be feeling very fresh after cycling to work. Cycling myths that you should totally ignore are often started and spread by people who know nothing about cycling. Cyclists love sharing beneficial tips and ideas within groups and in cycling clubs. Whatever you hear outside such a reliable environment is not to be taken too seriously. Even in the cycling groupings, evaluate information you get on the basis of whether it is for a pro cyclist or a beginner. We’re a lifestyle ecosystem for cyclists in Singapore. Get local cycling news, features, performance, training tips and reviews on our online magazine. Get the latest tips, how tos, reviews and cycling news!